At AdvancePro, designing inventory software solutions that eliminate inefficiencies and allow business owners to focus on growth initiatives has always been our passion. And, we’re always looking for opportunities to further this mission. Therefore, we’re thrilled to announce a partnership with Direct Connect, a world-class provider of full-service integrated payments who prides themselves on helping customers streamline business operations while reducing the cost of card acceptance. With Direct Connect, AdvancePro customers have access to a superior, integrated payments solution through a free, simple upgrade. Upon listening carefully to our customers and carefully evaluating integrated payment solutions ourselves, two things quickly became very apparent: First, not all integrated payment providers are created equal. And second, partnering with Direct Connect was the obvious choice. With our shared passions for efficiency, core values of integrity, agility and innovation and commitment to service excellence, there was never a doubt that forging a partnership was the right thing to do for our customers. Direct Connect is the ONLY full service, integrated payments provider for AdvancePro software. Payment gateways (like PayFlow Pro, Authorize.net or US Bank gateways) simply offer transaction routing services to full-service processors, like Direct Connect, and charge a fee for each transaction in the process. 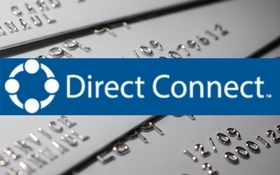 When you upgrade to Direct Connect, you’ll eliminate the need for a payment gateway provider and their middleman markups. With Direct Connect providing full-service processing, there’s no finger-pointing when it comes to customer service. Multiple providers in the payments chain inevitably results in customers getting the run around when vendors point the finger the other way. When you need questions answered or support with a transaction, the knowable agents at Direct Connect are your one-stop-shop. With honest, upfront pricing and a meet or beat promise, full-service payments powered by Direct Connect is where your business will receive exceptional value without added expense. Straightforward and secure payment processing is ALSO the most cost-effective choice for your business. AdvancePro takes partnership seriously, thinking long and hard prior to forming (and endorsing) third-party partners. We’ve chosen Direct Connect because they deliver a superior payment solution with today’s technology backed by a support team committed to service excellence. Experience the difference. By accepting credit and debit cards directly through AdvancePro powered by Direct Connect, you’ll provide a better customer experience all while streamlining business operations. When you upgrade from a non-integrated solution or standalone terminal, you’ll rid your business of manual reconciliation requirements and data entry errors caused by human mistakes. You’ll also have access to tokenization technology for secure card-on-file and scheduled billing. For AdvancePro customers, there’s nothing to stand in the way between you and a superior payment solution. Upgrading to payments powered by Direct Connect is quick, easy and free of charge. To learn more, request to be contacted by a team of Account Setup specialists dedicate to the AdvancePro partnership. You’ve entrusted AdvancePro software to provide all-in-one inventory management for your business from website to warehouse. 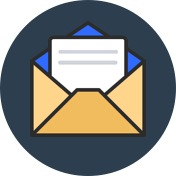 Make sure you’re getting the very BEST your software has to offer with full-service, integrated payments powered by Direct Connect.